American dream is long gone; Singapore is the new place to be. The progressive regimes of the Singaporean economy, modern infrastructure, lower tax rates, and competitive salaries, make the island of Singapore an ideal work environment for those who are determined to make it to the top. Moreover, people who have an international work experience to flaunt in their profile, get considered in high regards. Now this is good news for all those who want to make it big. However, you will need to play by certain rules if you want to work here legally, and to work legally, you need to have a valid Singapore work visa. Apart from the personalized employment pass (PEP), in which you are not bound under any specific employer and can switch jobs without having to apply for a new work pass every time, all other types of employment visa in Singapore can be issued only by a Singaporean employer. 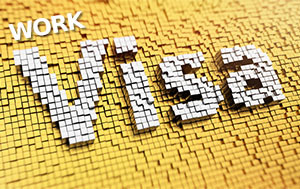 Given below are three ways in which you can get a work visa for Singapore. Your Singaporean employer will apply for an EP (employment pass) or an S Pass, depending upon you caliber, experience and qualifications. To get a Singapore employment pass, you need to have an employment offer from a Singapore company with a salary of at least S$3,000. You will also need to have acceptable qualifications and skill set as put forth by MOM. EP remains valid up to 2 years. For an S Pass, you need to have a minimum salary of $2,200. It is mainly applicable for mid-level skilled workers, like technicians, who wish to relocate to Singapore for work purposes. Even for this pass, you need to demonstrate good academic dossier. You will not require an employer for procuring PEP. It is specifically meant for highly qualified and top-tier foreign professionals who wish to work in Singapore. It is a non-renewable pass with a validity of 3 years. After the expiry of this pass, you need to apply for either an E Pass, or Permanent Residence (PR). With PEP, you can stay in Singapore for maximum of 6 months and search for a good job opportunity, but you cannot set up a business. To be eligible for PEP, you need to have a P1 Employment Pass with a minimum salary of S$12,000/month. In addition to this, they should be drawing a basic salary of S$144,000/annum in the preceding year. On the other hand, highly qualified foreign professionals with a minimum salary equivalent to S$18,000/month are eligible to apply for a Personalized Employment Pass. Those entrepreneurs who wish to relocate to Singapore and set up a business can apply for an EntrePass. The best thing about this pass is that, you can apply for it even before you incorporate your company in Singapore. Moreover, you can get an EntrePass even without any major educational qualification. It is because the main criterion for this entrepreneur pass is to have a proven record of accomplishment of business operations. For an EntrePass, you will need to have 30% shares of the company you wish to set up in Singapore. One more thing to be kept in mind is that the company, which you have already incorporated, or the one you plan to, must be a private limited company. Legally married spouse and children below 21 years of age, of a Singapore visa holder can relocate to Singapore on a dependant’s pass (DP). This pass allows the eligible family members of the work pass holder to stay and work in Singapore in a legitimate way. A DP holder can also incorporate a company in Singapore and can act as local nominee director of the company. He is also eligible to apply for Permanent Resident (PR) status in Singapore in due course. On the other hand, if you have relocated to Singapore on a Long-term visit pass (LTVP), then your employer will need to apply for a work visa for you.